Ever wish you could turn back the clock, go back in time, change something in some way, right a wrong, maybe? How ’bout going back in time and not being able to change anything that’s already happened? This is precisely Henry’s curse… and blessing. Henry is the time traveler in Audrey Niffenegger’s wonderful love story about Clare and Henry. Now don’t go running off just because I called it a love story. This burly biker dude don’t do romance books, you know. Don’t be afraid of this one, though. It’s unique. And if you don’t like science fiction, don’t run off just yet, either. This book is so difficult to pigeon hole easily. It’s joyous, tragic, intense, light and airy, humorous, dark, playful, serious, happy, and sad all rolled into one extremely satisfying story. This is a story of humanity, of life, of beginnings and endings. Whether you’re an 80 year old granny or a 17 year old skateboard punk, I think anyone with a bit of humanity in them will be affected by Ms. Niffenegger’s story of Clare and Henry. The book I actually read was from my local library. However, I liked this story so much that I ordered a copy a few minutes ago from an online seller. I will definitely be reading this book again sometime in the future. It’s one of those books that once you closed that back cover over after reading that last page, you have just such a wonderful feeling of satiation and tranquility. Any readers out there know exactly what I mean. Many books are enjoyable, some are very good; a few, like this one, are special. We all have our favorites. 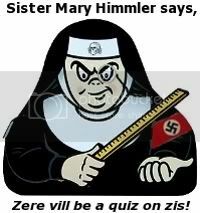 It’s a subjective thing, for sure. Recommendations from readers and written reviews are usually not ironclad guarantees of similar reactions in others. They can be a starting point, though. A book like The Time Traveler’s Wife is usually not my cup of joe. If someone had recommended it or I had read a review of it, just the words “love” and “story” probably would have scared me off. I saw this book on the bottom shelf at the libary. The title intrigued me. The cover was even more interesting. I checked it out. I’m so glad I did. Pick yourself up a copy of this little gem next time you’re at your local library or bookshop. I don’t think you’ll regret it. 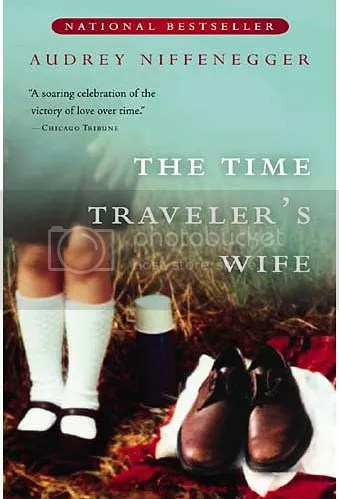 Posted by V. T. Eric Layton on 9 February 2012 in Books and Literature and tagged Audrey Niffenegger, book review, love story, science fiction, The Time Traveler's Wife, time travel. I have put a request in for an ebook version to be made available. Although this book has been out for several years, and a movie has been made of it, the book is still not available on Amazon’s Kindle or Barnes & Noble Nook … now that’s sad! Especially when you are talking about a time travel book…you know, scifi. I find I can read much more by reading on an ebook reader like the Kindle App or B&N Nook App or on an ereader device where I can make the words larger than I can get in even a hardcover book. I wish they would provide the ebook version when you bought the book from a bookseller. I have so got to read this! I did enjoy the movie version, and I’m sure the skipped a ton of stuff from the book. Off to the library with me! I hope you’ll love it as much as I did. I haven’t seen the movie. I doubt that it can even come close to the book, though. They rarely ever do.